Happy 100th to the Toledo Ice Yacht Club where they are hosting Winterfest today. 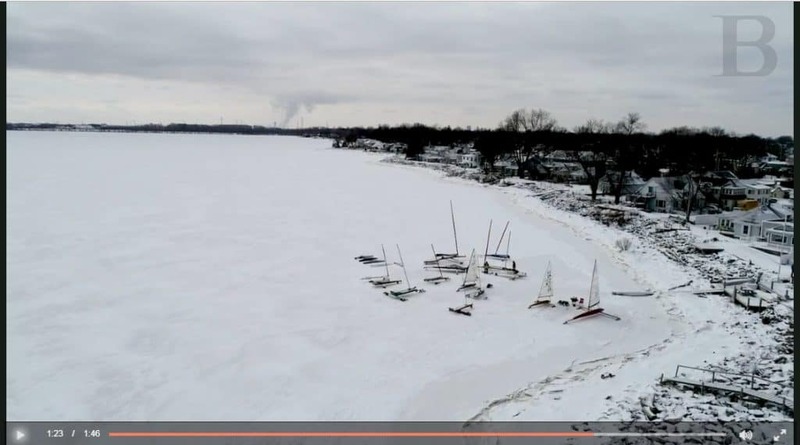 If you are in the area and want to see what iceboating is all about, this is the place to experience it. Check out the article and accompanying video. Mr [Kent]. Baker said ice boaters and racers have created a sense of community with each other. “I’ve been in the club over 20 years, so I’ve known a lot of these people that long,” he said. “You make friends and end up traveling together with random people. The guy I went to Maine with, we’ll call each other up and talk about going somewhere to race. A lot of times we’re the only ones nutty enough to do it.” Read more.